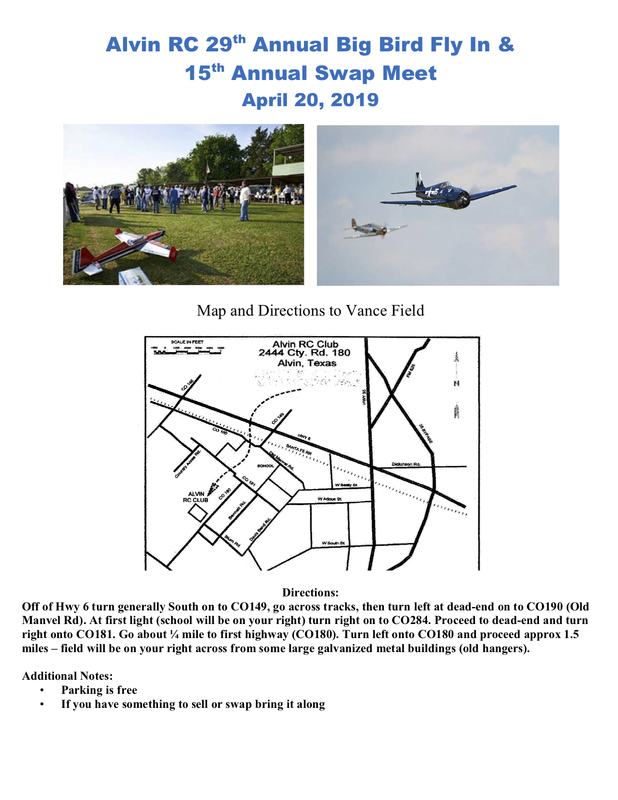 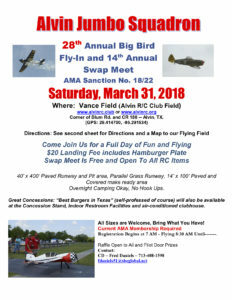 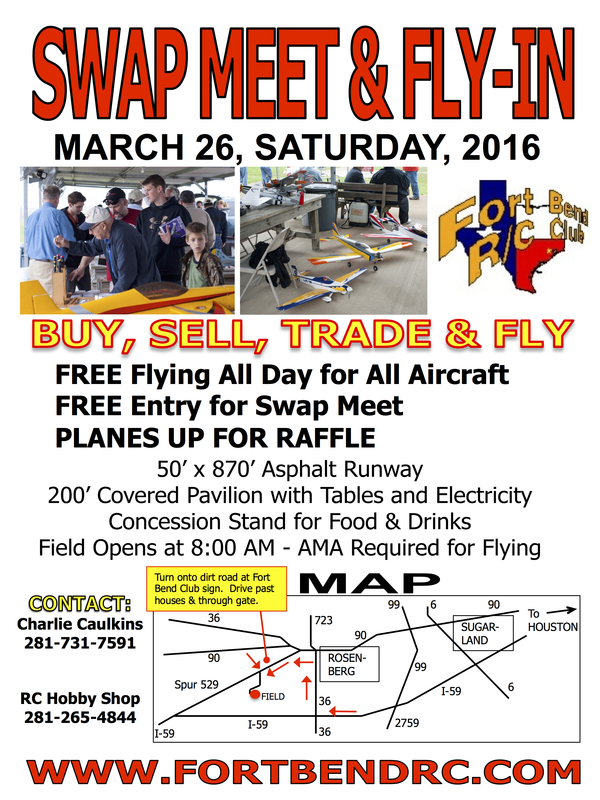 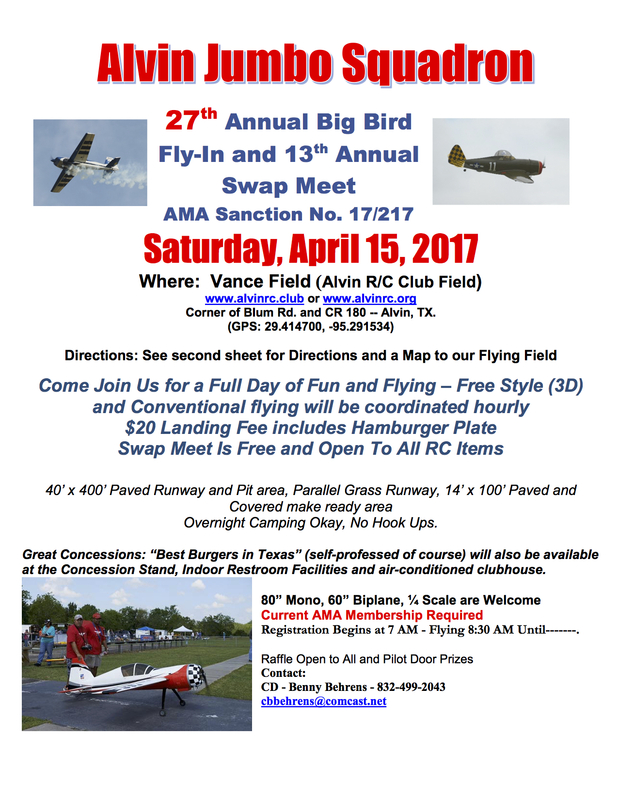 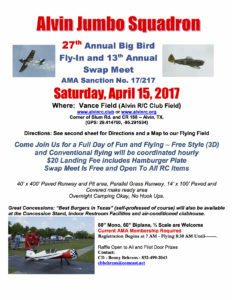 Join us for our 28th Annual Big Bird Fly-In and Swap meet. 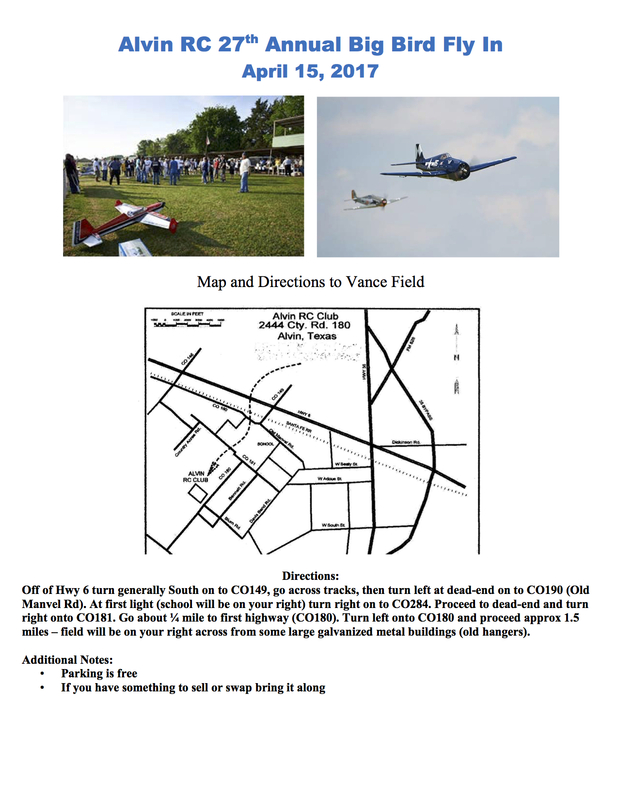 40’ x 400’ Paved Runway and Pit area, Parallel Grass Runway, 14’ x 100’ Paved and Covered make ready area. 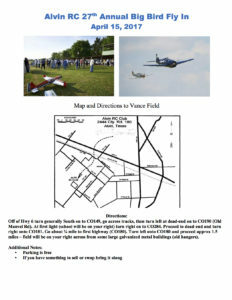 Overnight Camping Okay, No Hook Ups. 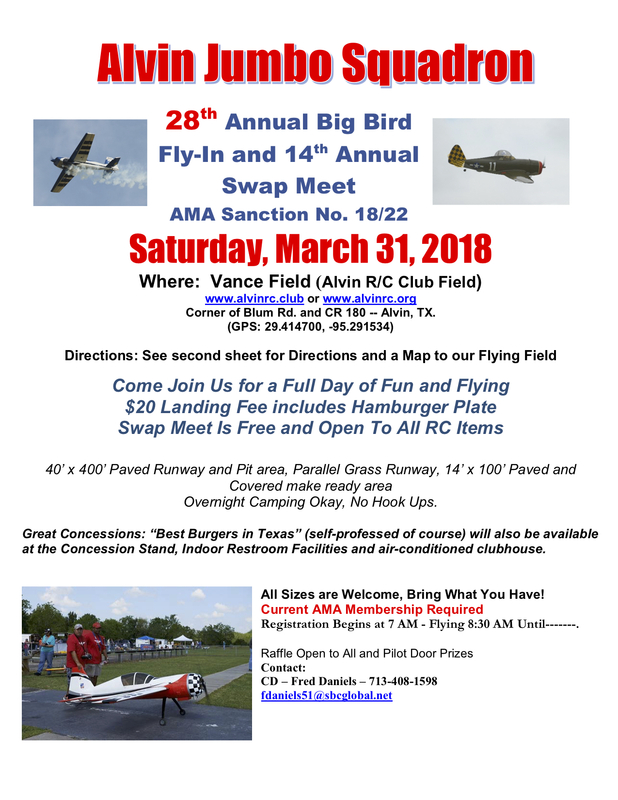 Great Concessions: “Best Burgers in Texas” (self-professed of course) will also be available at the Concession Stand, Indoor Restroom Facilities and air-conditioned clubhouse. Registration Begins at 7 AM – Flying 8:30 AM Until——-.